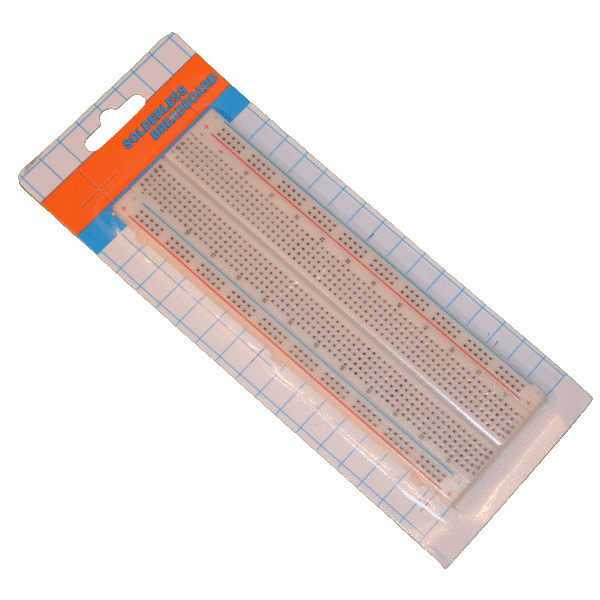 This white 830 point solderless breadboard provides colored coordinates for easy component placement. Provides two 200 point power distribution strips and 630 terminal strips. Accepts wire sizes from 20 to 29 AWG.